We are very happy to welcome Correct hearing in Nottingham to the Hearing Aid Know network of premium Independent hearing aid centres. Correct Hearing is a family run business who have a long history of providing best in class hearing care and the very best hearing aids in Nottingham. Let's meet the team. The business is managed by Sarah and Ian Vokes, Sarah is a Director and Audiologist at the Correct Hearing. Sarah has extensive experience both personal and professional with hearing loss. During her teenage years a bout of meningitis left her with a unilateral (one sided) hearing loss. So she fully understands the impact and difficulties that arise from hearing loss. In fact it was that hearing loss that spurred her to study Audiology. She studied at Nottingham School of Audiology where she was awarded a BAAT and went on to work within the NHS. 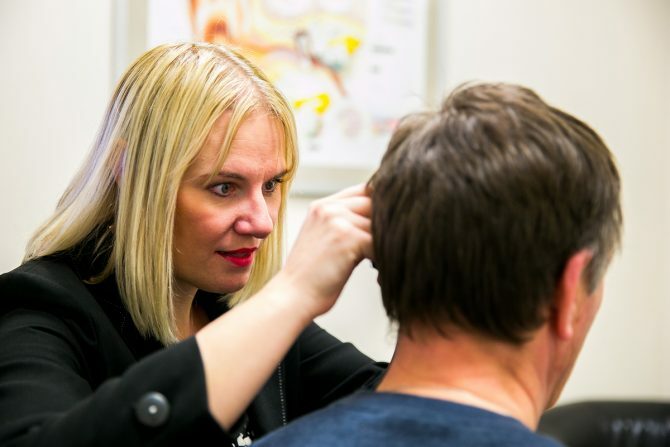 She built up her skills and specialities to include multiple disciplines including tinnitus care and paediatric testing (children's audiology). Sarah moved from the NHS to a large National hearing aid company before deciding to establish Correct Hearing in 2009. 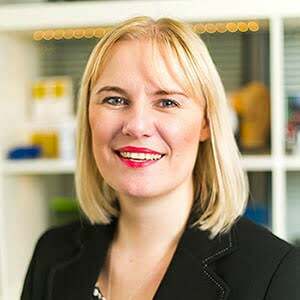 Sarah wanted to provide a more relaxed and bespoke service for people with a hearing loss without the constraints that exist within a National business. And so, Correct Hearing was born. Sarah has been involved with the Audiology Profession for many years and is dedicated to delivering best Practice hearing care. She is also dedicated to improving the lot of both people with hearing loss and the Profession she belongs to. She is an active member and has recently been elected the President of the British Association of Hearing Aid Audiologists (BSHAA). Sarah is committed to providing the very best hearing aids from the biggest hearing aid brands. She will only use the latest hearing aid technology because she believes that is what offers the best outcomes for her customers. As an Independent hearing aid centre she has access to all of the big six hearing aid manufacturers like Phonak, Resound, Widex, Signia, Starkey and Oticon. Their pricing structure offers outstanding value and runs from £395 to £1600 and beyond based on the technology level of the hearing aids. That's the very best hearing aids at each level and dedicated aftercare to ensure full success. They also offer ear wax removal at the location and they say that microsuction ear wax removal is by far the most popular method of ear cleaning. They can also undertake irrigation ear wax removal. Like others, Sarah says that when the methods are explained in detail, most people choose micro suction, no mess, no fuss. They offer the service for £50 for one ear and £80 for two. They of course offer full and comprehensive hearing tests, undertaking audiological work ups to aid diagnosis and to deliver enough information for in-depth treatment recommendations. Sarah is also qualified to undertake Children's hearing tests, something that is relatively rare in Private Practice. Correct Hearing also offer a free home visit service for people with mobility difficulties. If you are unable to visit them at their hearing aid store in Nottingham, they will by request arrange a home visit hearing assessment in the comfort of your own home. They have fully portable equipment for assessing your hearing and the ability to demonstrate the latest digital technology in your own surroundings. I have known Sarah for many years having often met her at educational events and BSHAA events. She is committed, hard working and has always impressed me with her passion for the profession and the people we care for. If you are looking for hearing aids or hearing care in Nottingham, I couldn't recommend Sarah Vokes and Correct Hearing enough as a place for you to start.